the drinks business is pleased to announce the third edition of its Global Beer Competition, which follows the same formula as our successful Global Masters series, blind tasting drinks according to price and style, but without prejudice about their country of origin. Formerly known as the Beer Masters, The Global Beer Competition is a blind tasting competition which judges beers in a wide range of categories without prejudice about their country of origin. This year the categories will be: Ale – Hop Forward (Bitter, Golden Ale, Pale Ale, IPA); Ale – Malt Forward (Porter, Stout); Ale – Other (Wheat, Saison, Lager, Dark Lager, Light Lager, International Lager); Mixed and Speciality (Flanders Red/Ouid Bruin, Lambic/Gueuze, Kettle Sour, Barrel Aged, Flavoured and Fruit Beer, Gluten Free, Low/No Alcohol Beer). 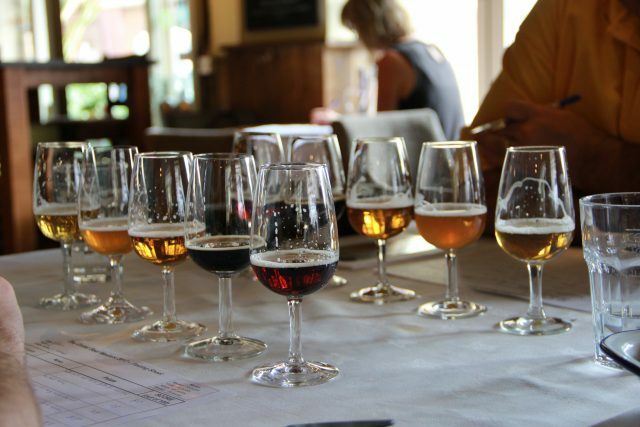 As with the Global Masters series, the competition will be judged by a panel of industry experts including beer Sommeliers, Cicerones, beer educators and Master Brewers. Also taking part in the day’s proceedings will be db‘s editor-in-chief, Patrick Schmitt MW, news and web editor, Phoebe French, and staff writer and social media manager, Edith Hancock. Entries for the competition cost £135 plus VAT for a single beer, but for £295 breweries can submit an entire portfolio of beers. The online entry form is available here, or in the Awards section of thedrinksbusiness.com. Entrants to this year’s competition will also have the chance to show off their beers as part of The Global Beer Tour at The Wine & Spirits Show, hosted by the drinks business and sister tittle The Spirits Business, taking place at The Royal Horseguards Hotel in the heart of London from 12 – 13 October 2018. Over the two-day event, more than 2,000 London-based consumers, as well as 400 trade buyers, will sample hundreds of wines, beers and spirits, with a trade session set to take place on Friday, 12 October, between 1pm and 5pm. All those that enter The Global Beer Competition, set to be judged by the drinks business’ expert panel in August, will have their beer showcased at the show, with the aim of rewarding and highlighting the finest beer brands on the world stage. The Wine & Spirits Show Sample Deadline: 5 October 2018. For more information, please click here, or contact Rhiannon Morris on rhiannon.morris@unionpress.co.uk or +44 (0) 20 7803 2430.